� 1 3/8" Wide White Golf Belt. 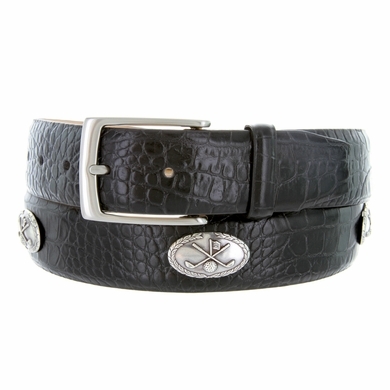 � Italian Calfskin Genuine Leather. � 5 Golf Ornaments on the belt. � Available in Black, Brown and White.